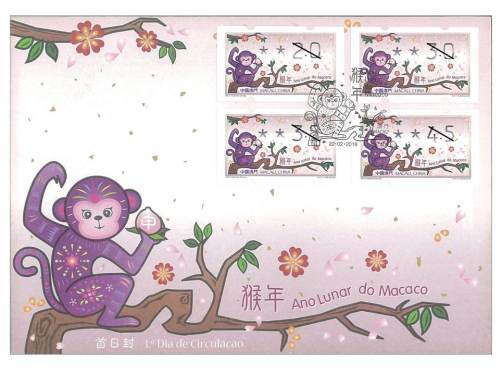 Stamp Issue "Lunar Year of the Monkey (Label Stamp)"
STAMP ISSUE OF LABEL STAMP "LUNAR YEAR OF THE MONKEY"
Macao Post issued the label stamps “Lunar Year of the Snake”, “Lunar Year of the Horse” and “Lunar Year of the Goat” under the stamp series of Chinese Zodiac between 2013 and 2015. 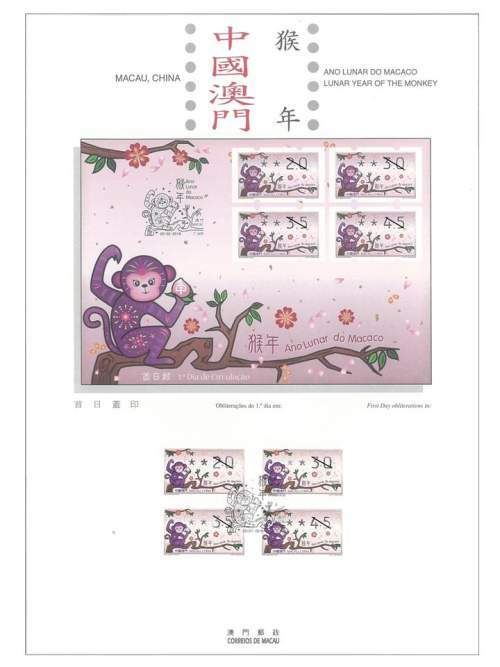 The fourth issue with the stamp theme “Lunar Year of the Monkey” will be issued on 22nd February, 2016, the printing quantity is 1,000,000 label stamps. 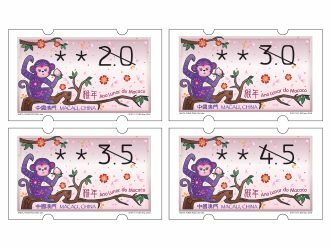 Since the Chinese characters “monkey” and “marquis” are homophone, monkeys had long become a mascot that symbolizes official promotion among the people, thus many auspicious patterns were created. 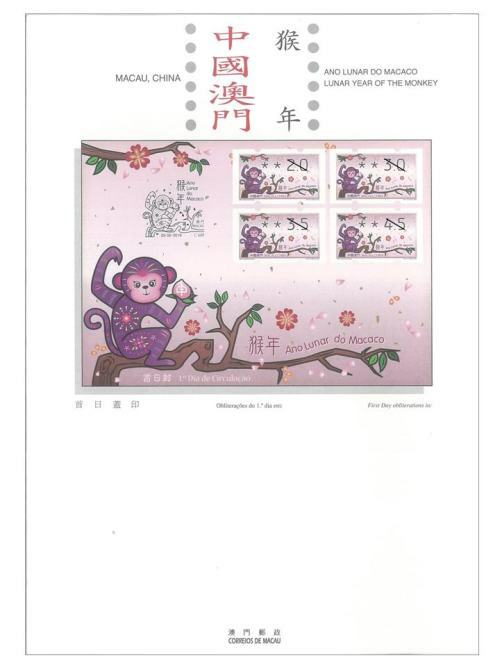 Moreover, these images also integrate into modern art and the stamp issues over the years also embodied the features of monkey, which are propitious, wealthy, intelligent and resourceful. This is the first theme in 2016. 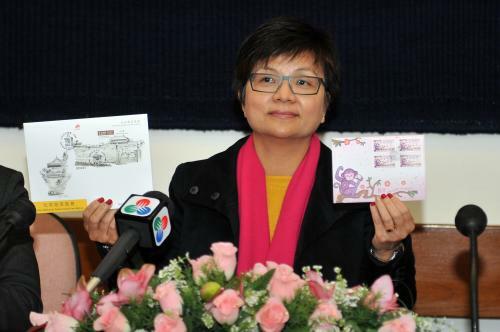 The theme “Lunar Year of the Monkey” also included the commemorative stamp issued on 22/01/2016.